Take to The ICE at Discovery Green this Season! 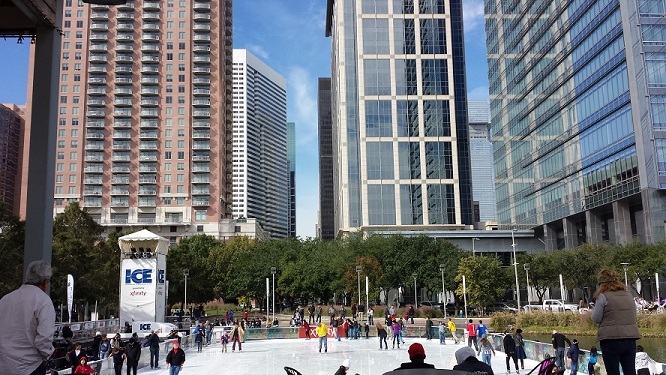 You are here: Home › Things to do in Houston › Take to The ICE at Discovery Green this Winter! Once again this Winter, the ICE is open at Discovery Green! The park’s model boat basin is drained, and recycled water from Kinder Lake is brought in to transform the space into the largest outdoor ice rink in the Southwest! In the shadow of the skyline, even the littlest Houstonians can enjoy ice skating. And whether you have a toddler you want to teach to skate, are learning to skate yourself, or are a champion ice skater, Discovery Green is the place to be. Hold on to the glass on the outside of the rink or zoom through the middle. 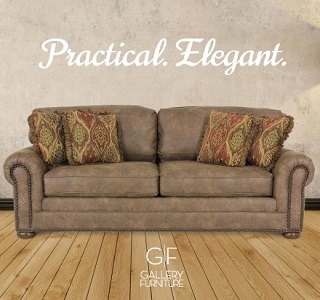 Either way, you’ll have a great time! The atmosphere is festive as people enjoy the hot chocolate and other various treats available at the concession stand, and skate on the ice… often in short sleeves! Admission is $14 per person regular admission and includes skate rentals. Tickets are also available for purchase on-line so you can skip the line! Check the website for special events like private skating lessons, weekly Cheap Skate Day, and more!